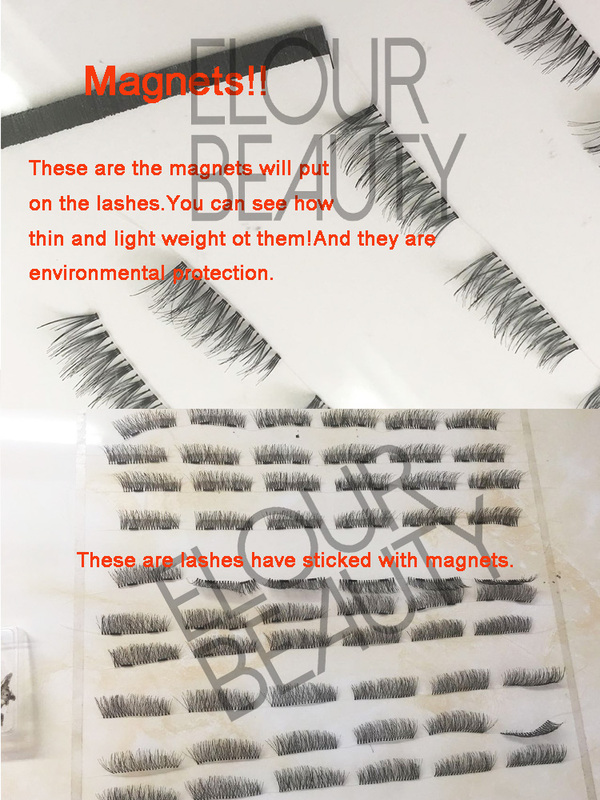 Glam magnetic eyelashes fake no glue Dubai.Magnetic fake eyelashes,stick the lashes with strong magnets,and the magnets so thin and light weight,so no burden to eyes,no glues needed,so no allergy to skins,suit for all persons.The artwork of magnetic fake lashes are fine,materials great,lashes are glam.So well popular and hot selling in Dubai at not a high price,and many styles. 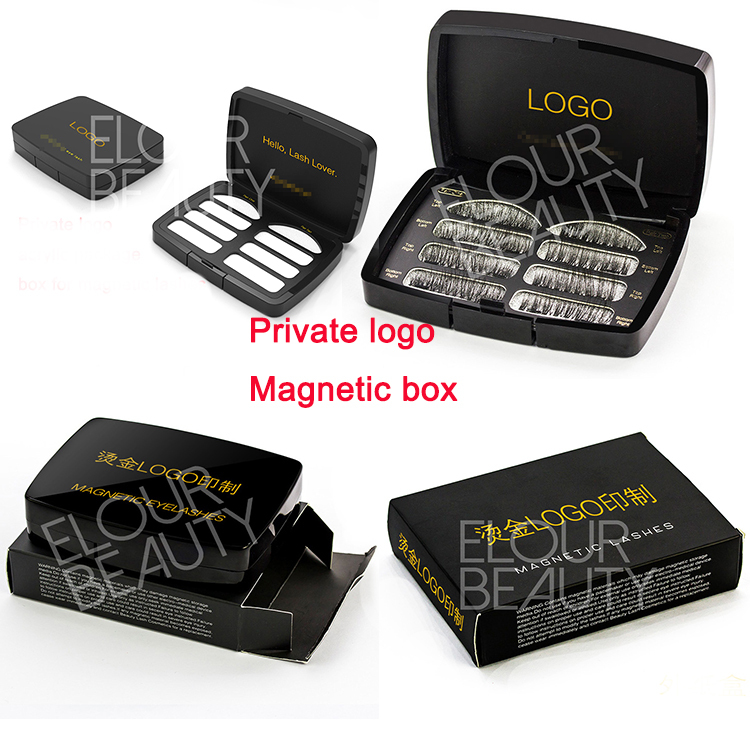 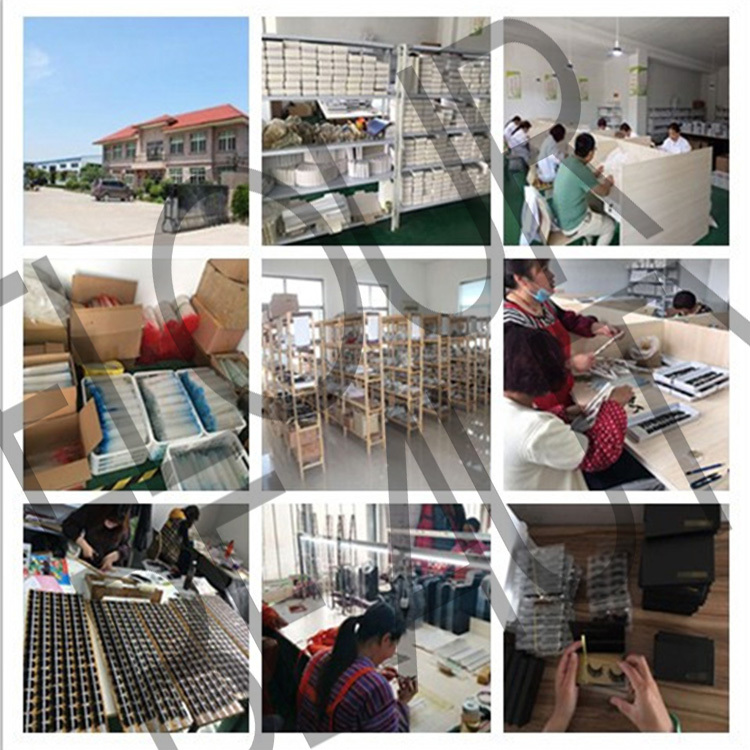 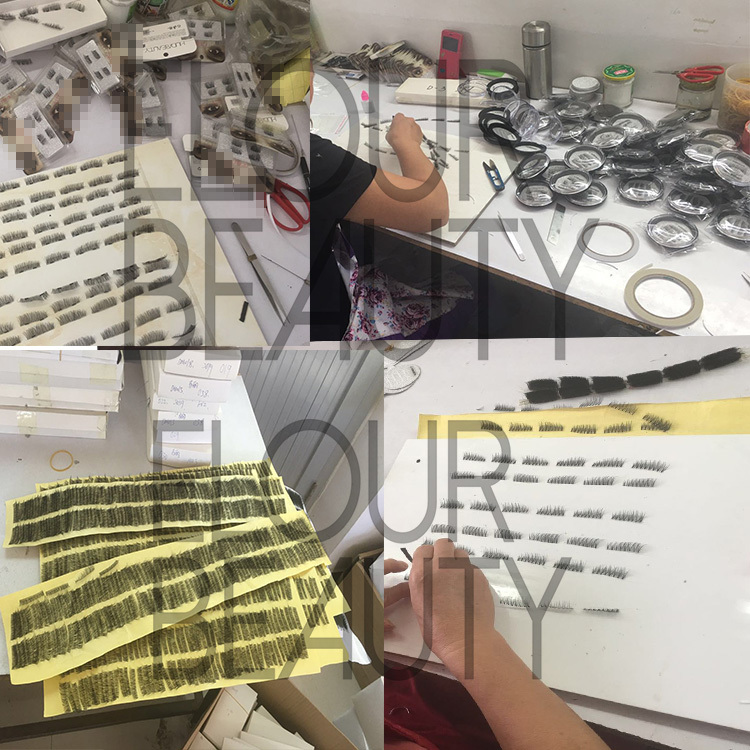 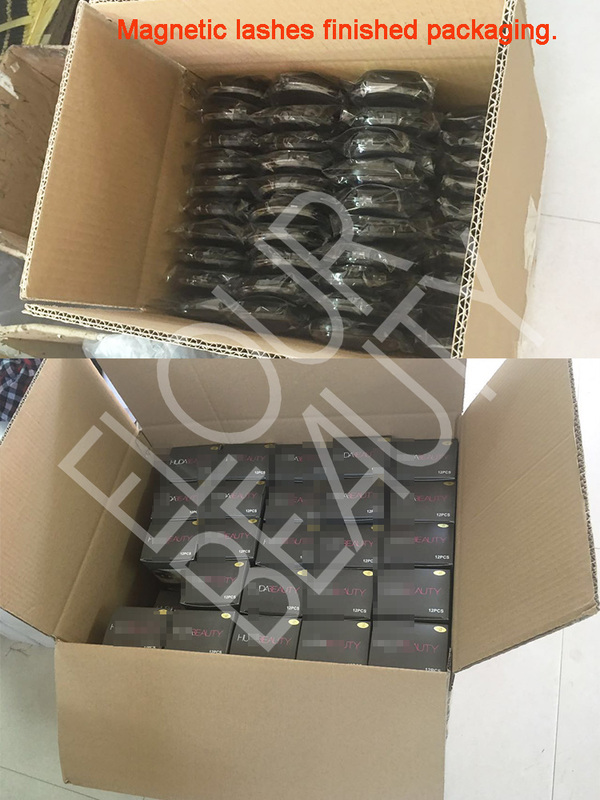 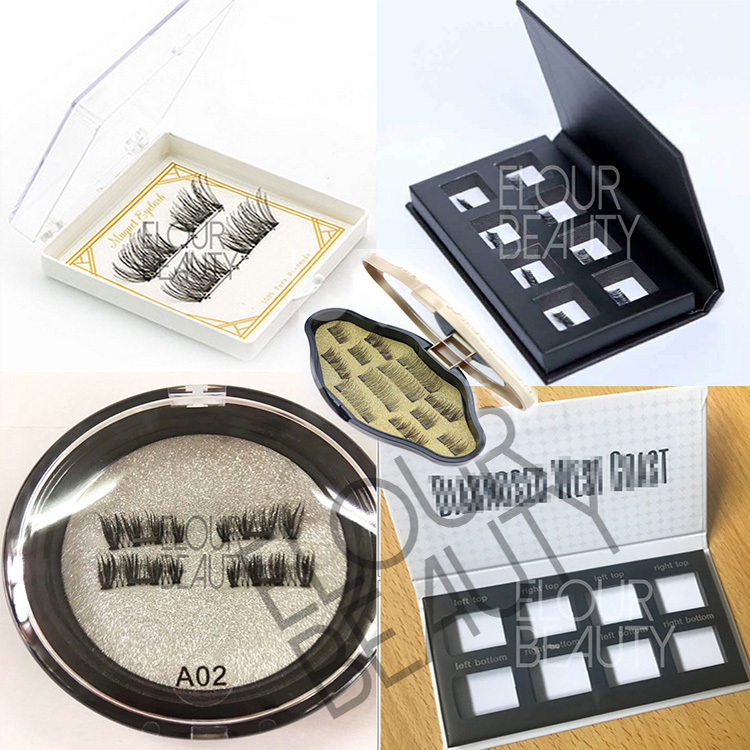 The magnetic lashes are 100% handmade lashes with thin magnets to stick on natural lashes directly, no need to use glues.And we have many styles,and new styles are always in making.And our daily output is more than 8000pairs,and so orders can send about 1-3days according to quantity.And different kinds of magnetic lashes boxes can be made with private logo.Welcome you to inquiry,best price lashes and service will be for you. 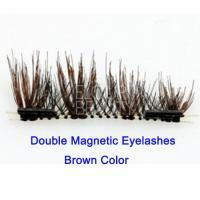 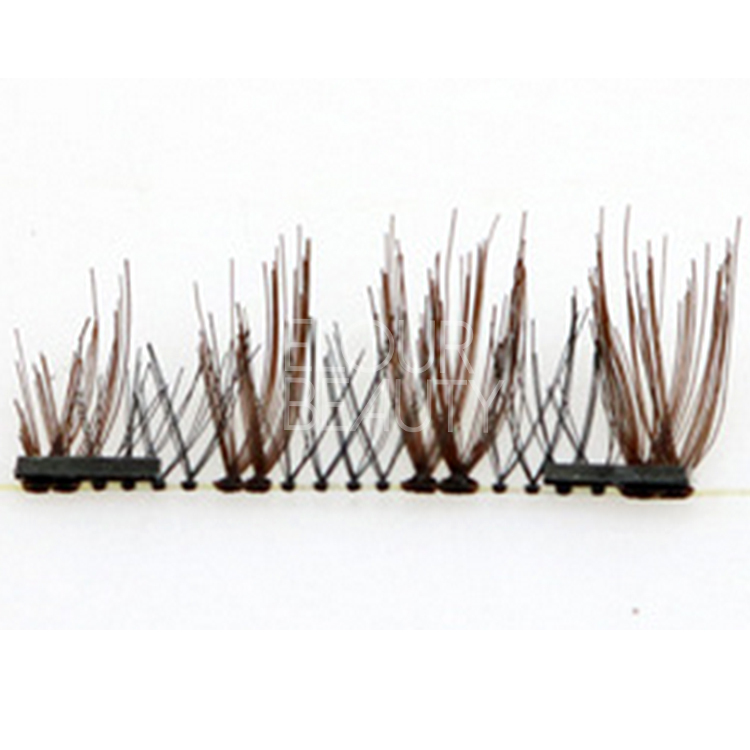 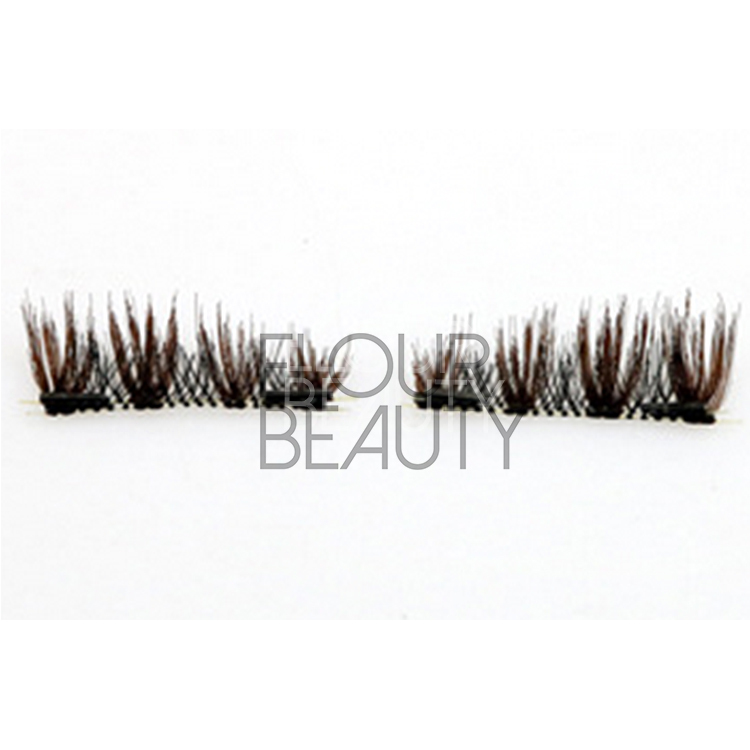 The double magnets full lashes,in brown color,two pieces stick together by the magnets,thick and beautiful. 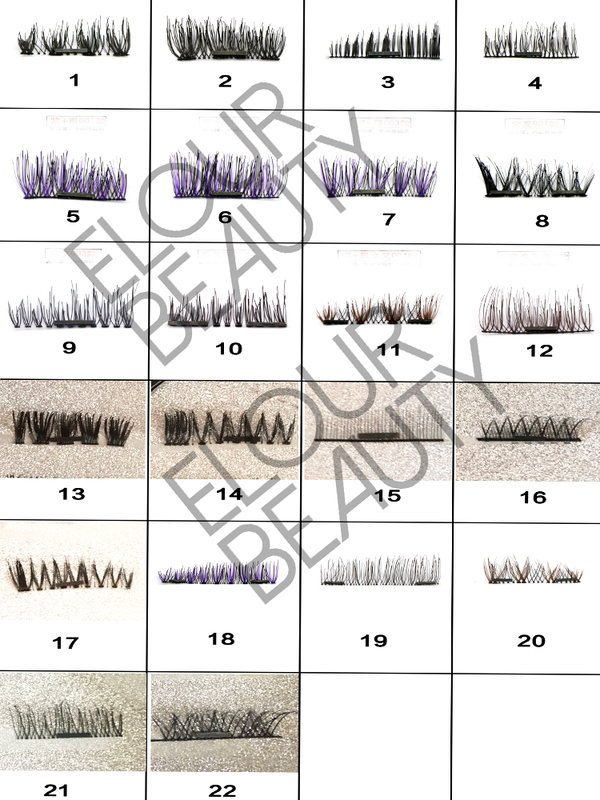 1pair for the magnetic lashes includes 4pieces,the magnetic lash is from short to length,same as the natural lashes. 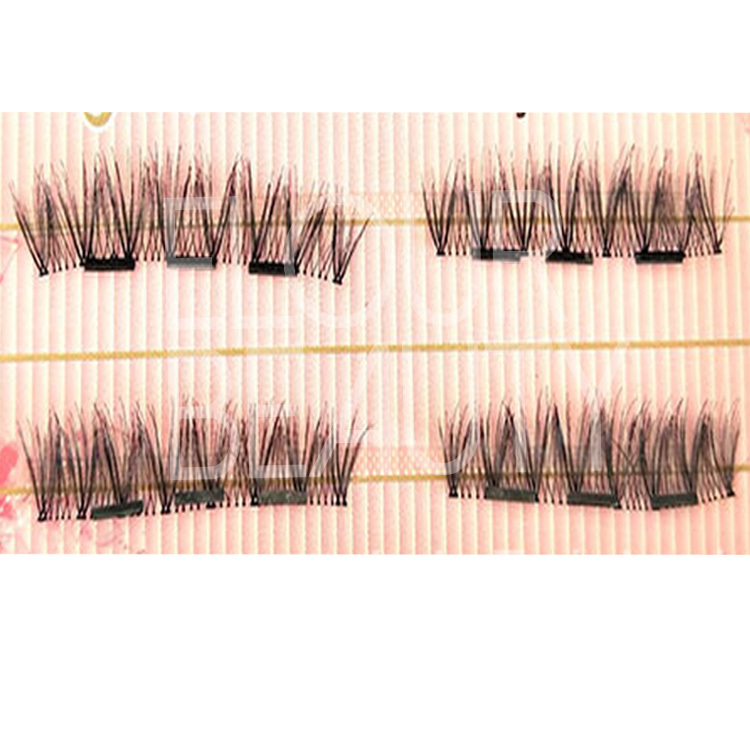 The two pieces left lashes and two piece right lashes all stick together.Thick,double layers. 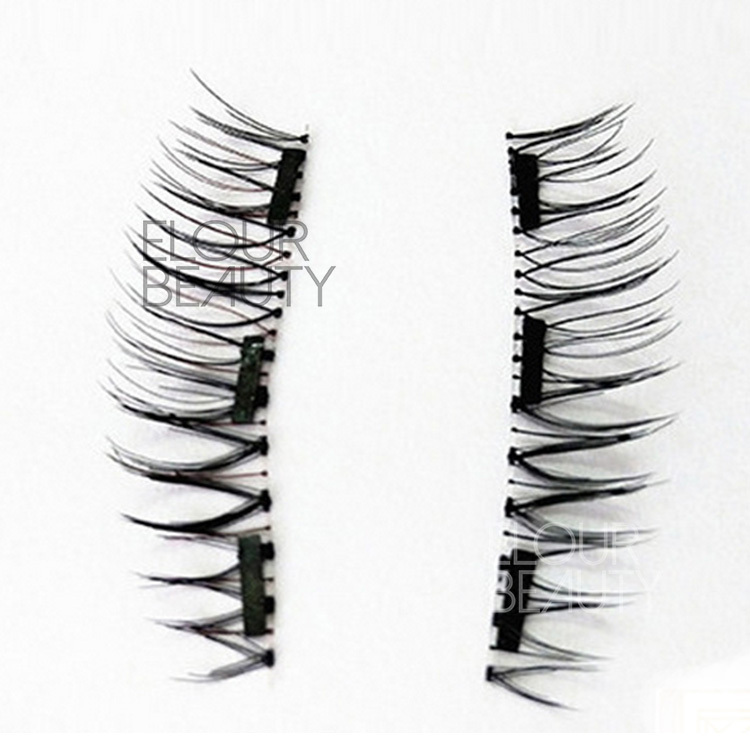 The separate one piece of the clear showing,the magnetic lash style easy to see. 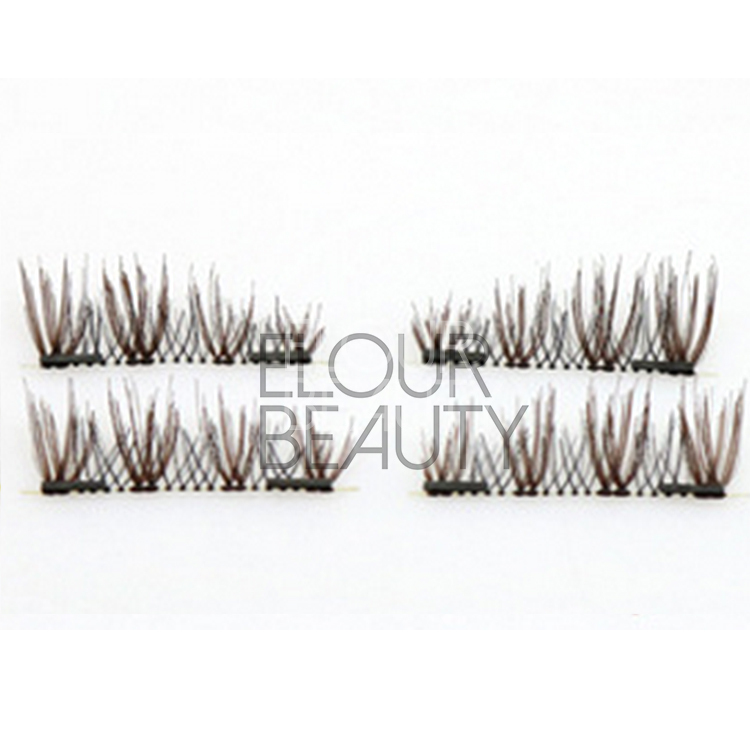 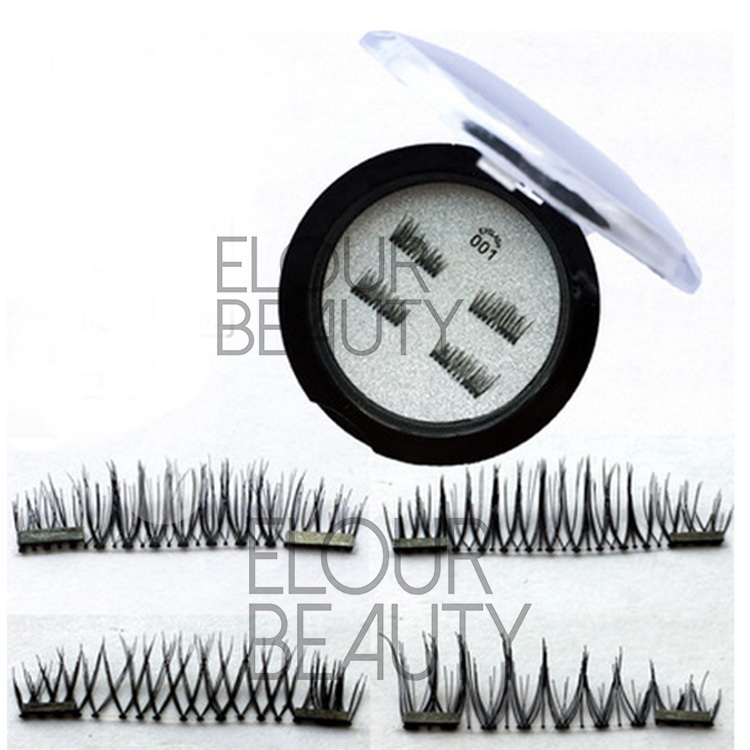 Many more new styles of magnetic lashes for choices,and customers own styles can make.